First published in 1986. 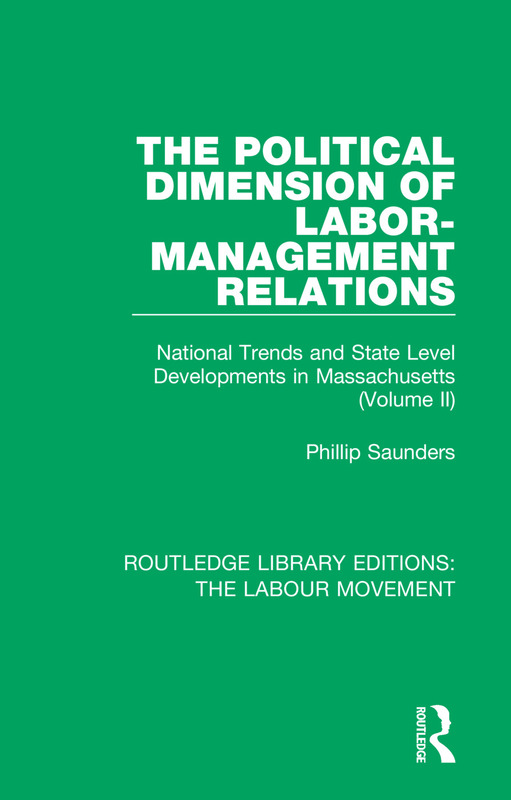 This study examines both labor’s and management’s political activities in the state of Massachusetts. The book, while historical in character, provides an interpretation of change, and identifies, describes and interprets temporal sequences. The primary aim of this study is to trace the evolution of public policy in the United States in the broad area of labor-management relations. The attempts of organized labor and management groups to influence public policy through the political process are examined, with a more detailed examination of labor and management political struggles in Massachusetts. This title will be of interest to students of political and labor history.